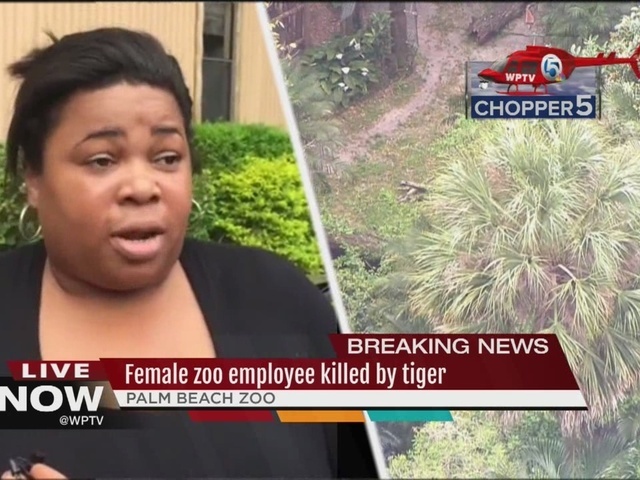 Palm Beach Zoo Spokesperson Naki Carter updated the media Saturday morning. Carter said the tiger that killed 38-year-old Stacey Konwiser Friday remains at the zoo and is recovering from being tranquilized. The zoo is not releasing the name of the tiger at this time. 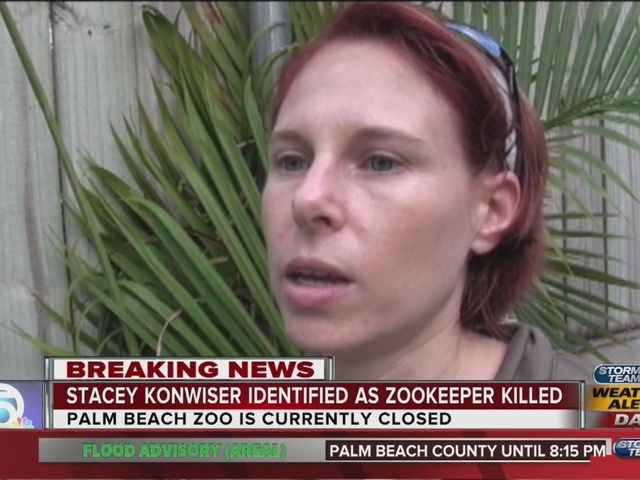 According to zoo officials, Stacy Konwiser had just hit her three-year anniversary at the Palm Beach Zoo. She had recently accepted a position with the FDA, a long-term career progression to get into U.S. Fish & Wildlife Service. Konwiser's husband, Jeremy Konwiser, is a zookeeper at the Palm Beach Zoo. A brief statement was read on his behalf to other zoo staff this morning. "Please thank everyone for their support and kind words. This is a tragic and traumatic event for the zoo family but together we can help each other heal. Human beings and animals lost a wonderful friend yesterday. The couple had no children. Konwiser's family are on the way to the area. "The zoo is grieving. Thoughts and prayers are with Stacey's husband, who is also a zookeeper," said Carter. "Konwiser was like a sister to many." The investigation continues with the help of multiple agencies. OSHA is also investigating the incident. 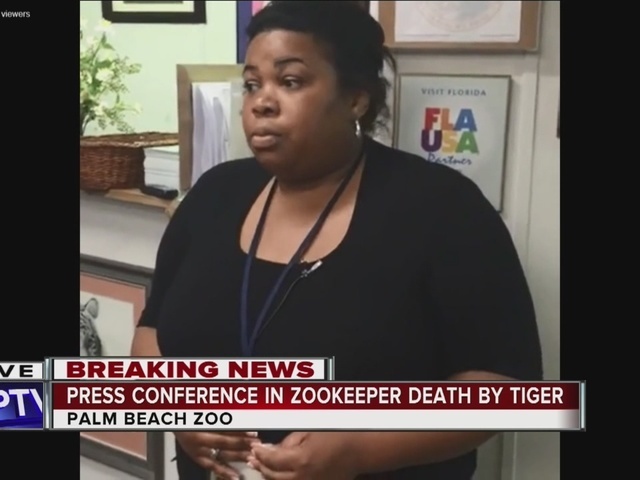 According to Regional Director of the U.S. Department of Labor and Office of Public Affairs Leni Uddyback-Fortson, there is no previous OSHA history at the zoo. 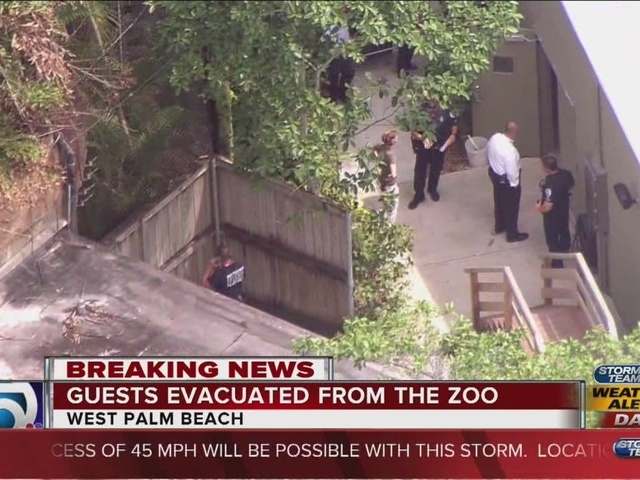 The Palm Beach Zoo remains closed throughout the weekend. A decision on when it will reopen will be assessed later this weekend. 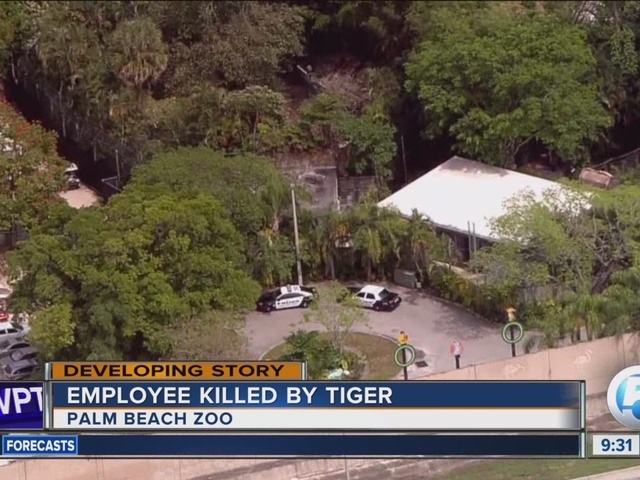 A woman has died after a tiger injured her inside a contained area at the Palm Beach Zoo, according to St. Mary's Medical Center spokesman Ryan Lieber. 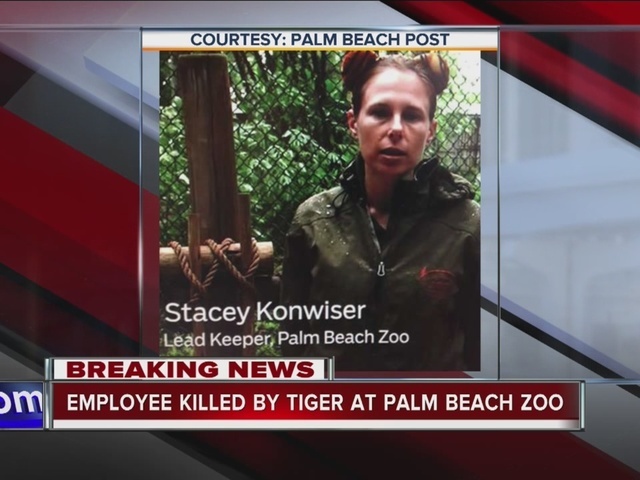 The victim was identified by zoo spokesperson Naki Carter as tiger expert Stacey Konwiser, 38, lead keeper. She had been at the zoo for three years. The attack happened in the tiger night house, where the tigers are fed. Konwiser was performing typical daily tasks with the male Malayan tiger, Carter said. After the attack, she flown by Trauma Hawk to St. Mary's for treatment. She passed away after being in critical condition. 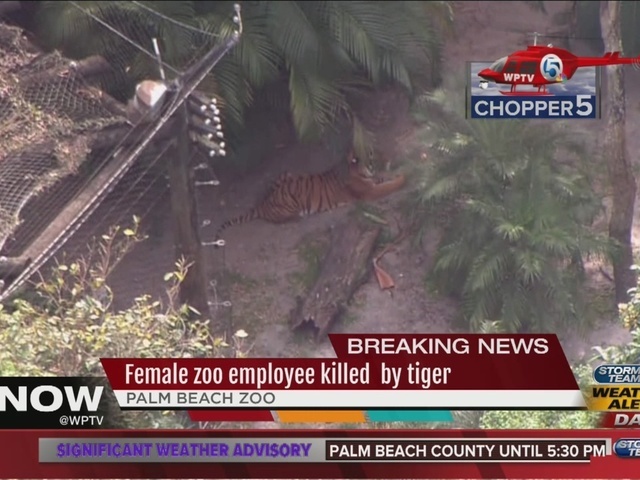 The zoo spokesperson has not released any information on the tiger. 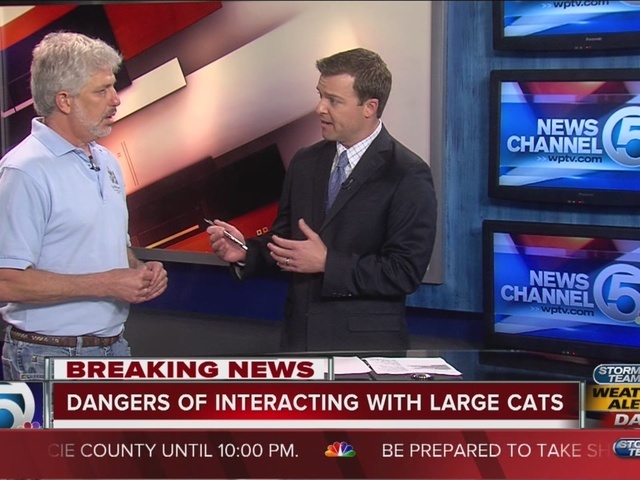 The animal was tranquilized and contained after the attack. Zoo staff say it never posed a threat to guests. The zoo was evacuated. We asked Carter when it is protocol to tranquilize an animal vs. shoot it down during an attack on a human, she said that will be addressed at a later press conference. Experts say it could take anywhere from 5 to 15 minutes to tranquilize a Malayan tiger. Carter says there are staff armed to put down an animal if they have to, whether this incident warranted that response is still under investigation. There are 25 to 30 zookeepers. Stacey's husband Jeremy is one of them. A Palm Beach Zoo Facebook Post from 2014 showed how the zookeeper couple shared a passion for wild animals. "You don’t go into his profession if you don’t have a love for it. 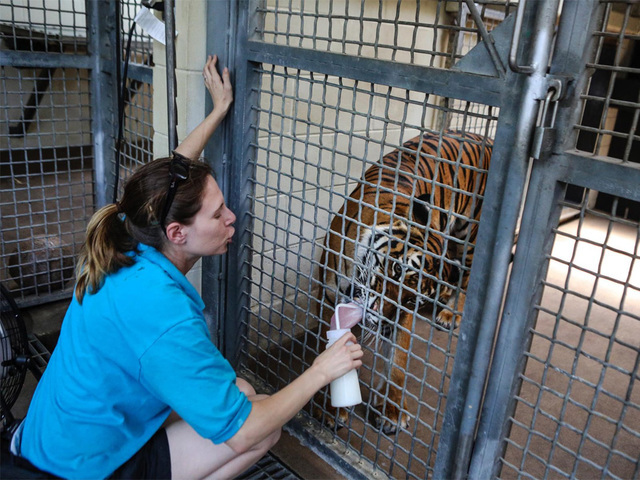 You don’t go into this profession for any type of praise or accolades, you go into this profession because you care about these animals and in Stacey's case she cared greatly for tigers," said Carter. It's unclear if Stacey's husband was working at the zoo during the attack. Several potential witnesses are being interviewed by Florida Fish and Wildlife Conservation investigators and OSHA officials. The zoo has not released more information on the male tiger involved or if it will be removed from the zoo. Wildlife experts say the tiger does not have to be removed from the facility, if it is removed it will be a personal choice made by zoo staff. 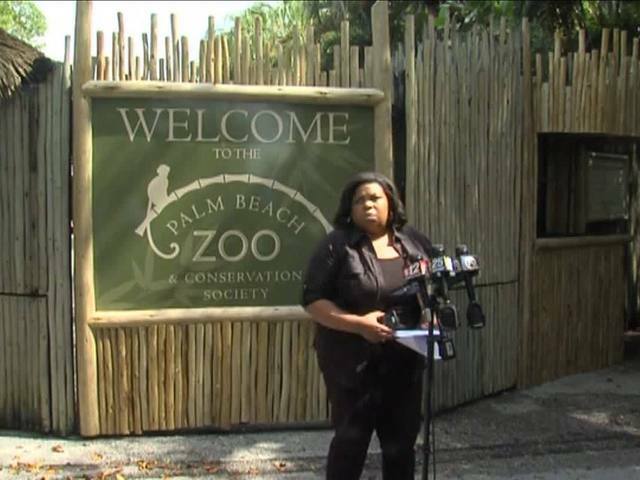 Carter said that this marks the first time that a human has died at the hands of an animal at Palm Beach Zoo. Following the incident, the tiger was tranquilized and rescue workers waited for the drugs to take effect before they could safely attend to the victim, according to West Palm Beach Police spokesperson Lori Colombino. The zoo says that the situation was handled according to protocols that are in place for such incidents.